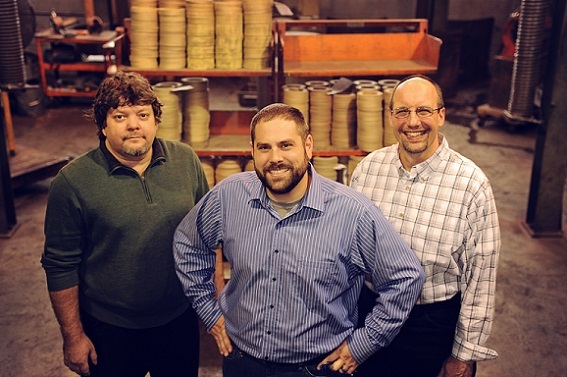 GMP Friction Products announces the company has put in place a new management team with a focused commitment to on-time delivery and high quality standards of their sintered friction products. Rick Cardarelli has been named President/CEO of GMP Friction Products in Akron, Ohio. Formerly the Operations Director at GMP, Cardarelli has built his career in manufacturing and brings his many years of engineering and production experience to his new role. Cardarelli also has an undergraduate degree in Mechanical Engineering from The University of Akron. Cardarelli added two new and experienced managers to the team to lead the efforts in quality, engineering and production for the sintered friction products manufacturing company. Terry Hart has been hired as Production Manager. He is responsible for all operations, ensuring timely delivery of a consistent quality product. Terry brings extensive experience in manufacturing including production scheduling, resource management, training, and safety as well as equipment reliability and maintenance. He previously filled the role of Plant/Production Manager at several Northeast Ohio manufacturing companies. Scott Durkin has been hired as Quality and Engineering Manager. He is responsible for establishing and maintaining the company’s high quality standards, maintaining consistency of the products and continuously improving the company’s business operating systems. Prior to joining GMP, Durkin spent his entire career in manufacturing, most recently as an Engineering Manager at a local forging company. He has also held roles in quality and production management at other Northeast Ohio manufacturers.